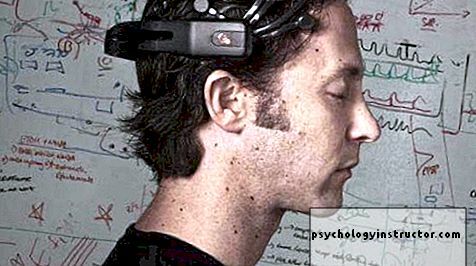 iDavid Eagleman is known as Leonardo da Vinci of the brain.In addition to being a neuroscientist and writer, he has distinguished himself by exceptional work as an inventor. He has developed devices to diagnose schizophrenia. To detect brain damage. And also to improve the quality of life of the deaf-mutes. However, his real interest is to decipher what we call "consciousness". It's in 2015what a new television program presented by David entitledThe Brain(The brain).The goal was to convey to the general public the most important information we have about the human brain. In much the same way as Carl Sagan with his legendary seriesCosmos. "There is an incredible chasm between what your brain knows and what your mind finds out it can do." It is true that we are more and more interested in self-knowledge. 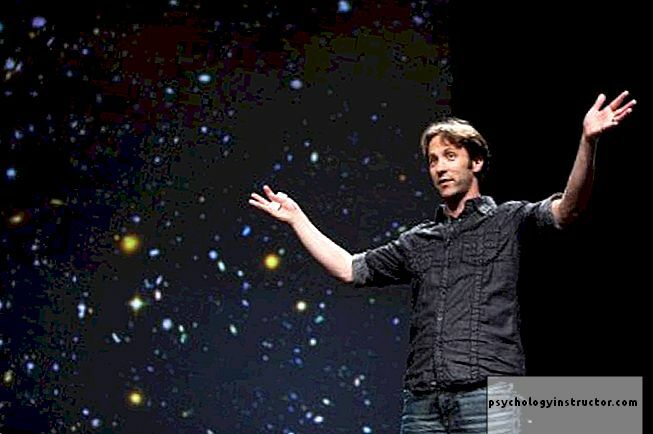 If Sagran has managed to ensure that whole generations are passionate about everything that happens beyond our little blue dot in the firmament, David Eagleman is also fulfilling his mission. Neuroscience brings us fascinating insights into the human being, who we are, and what we can achieve.The trip to this synaptic universe, deep and hyper-connected could not be more interesting. The most critical voices tell David Eagleman that he has simplified the neuroscience by making it available to everyone. 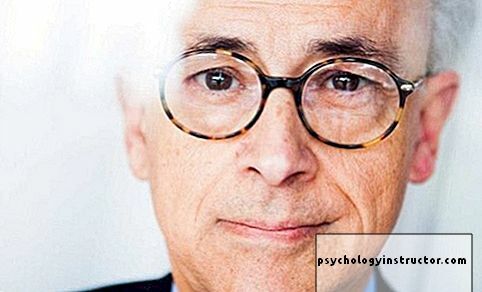 That he used his image of young and his good communication skills to make a hole in the editorial and televised world. It may be true butthose who know his career know David Eagleman well.Names such as his and Elon Musk's now assume a dramatic leap into the world of science. David Eagleman was just over eight when he fell from a building under construction. The consequences were not serious but he still experienced something that marked him all his life. He realized that time passed very slowly when he fell. Why is the perception of time slower in the brain when we are afraid? Why do we suffer from this type of torture so strange and distressing? This doubt has accompanied him for years.Today, he has already published several works on the subject after having carried out several experiments atNeoSensory,his laboratory in Palo Alto, California. From the moment he started his neuroscience studies, his goal was very clear: he wanted to bring practical things and useful dimensions to society.The idea of ​​generating this type of knowledge and resources that would be beneficial to us all is an almost moral principle that had already been stated by another figure in science: Nikola Tesla. David Eagleman is a member of the Institute of Ethics and Emerging Technologies. He has developed different inventions that suppose a great advance in various fields of science. "It's the human brain that interests me, not the mouse, they have not built civilizations." A jacket that uses the sense of touch to allow deaf people to hear again(a progress that is based on the theory of sensory substitution). A device that allows you to know if athletes have suffered a type of brain damage after an impact or a fall. A device that can diagnose schizophrenia early. A detector that helps to see the abuse of substances. Another detector to diagnose people with synesthesia. The development of the fMRI or functional magnetic resonance device, to evaluate how hundreds of brains process the information. On the other hand, there is another area in which David Eagleman is a pioneer: the ethical and legal neuroscience.He has now developed a series of guidelines based on this scientific field to generate new methods of offender rehabilitation. Its goal? According to him,"repair, train and treat"the human brain to stop transgressing the laws. David is 47 years old and has been dreaming of the Nobel Prize for almost ten years.His name is still a favorite. His books are among the best-selling in the world. His media face fills audiences and leads any television program to success. He was a child prodigy, a child who, at just 7 years old, already dazzled his teachers.At age 20, he abandoned his career as a space physicist in Houston to study neuroscience. Whether he receives the Nobel Prize or not, one thing is certain:Dr. Eagleman revolutionized the academic world.It enjoys the recognition of the public, a large part of the scientific community and Silicon Valley who has always closely watched his surprising inventions. For him, science must fulfill one objective: to offer well-being, progress, wisdom. He never hesitates to criticize the work of the scientific world:the only thing they can do is waste time arguing and counter-arguing. They focus on insignificant things that lead to nothing.We must expand the perspectives. Put everything we know now to everyone. One of his most exciting books is without a doubt "Incognito: The secret lives of the brain ".In this attractive, simple and extremely revealing book, he puts at our service all the secrets of this organ, in a lucid and efficient way. Reading it is more than a pleasure. It's like taking a trip through the thicknesses of our brain regions. Mind and consciousness to learn a lot more about ourselves. Leonardo da Vinci of the brain has traveled only part of his path. We will surely see it, over the next few years, reveal many mysteries and bring us many more inventions.